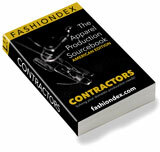 AMERICAN STITCHCO INC. solving DISTRIBUTION & WAREHOUSE CENTER production and contracting needs. inbound & outbound shipping & warehousing needs. Compare AMERICAN STITCHCO INC. with all 15 listings in DISTRIBUTION & WAREHOUSE CENTER.